Well, mine is at least and only two other people can say they have the best mom in the whole world. My mom’s birthday was a couple of weeks ago. 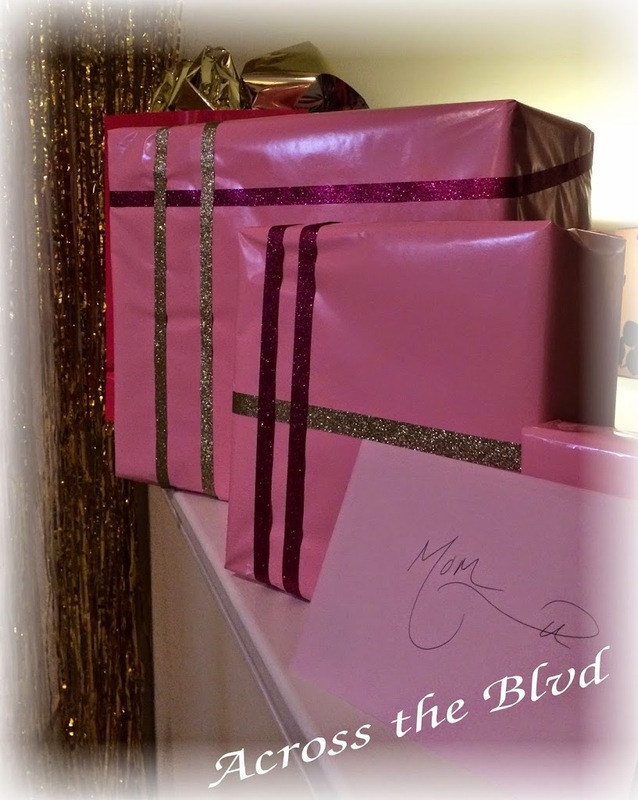 Growing up, my mom always had a way of making birthdays so special and she still does (mine is only a month away and I can’t wait to see what she’s got up her sleeve this year!) and not in the crazy elaborate birthdays that drive parents nuts and make them take out a second mortgage for their kids’ birthdays, but in the way that created beautiful memories for her children. I remember every birthday because Mom made it special. As I started growing up, I wanted to return the favor. This year we did a family trip to Savannah so it made decorating a house and getting a cake a little challenging but I wanted to show her just how important she is to me and how amazing of a person she is. On Thursday my husband and I needed to pack for the trip and decorate! I did a pink and gold theme for her to be a little girly. Amazon Prime became my best friend for finding decorations and it was a huge time saver. I found these adorable lanterns made by Martha Stewart and they were really easy to hang using some packing tape. These are so much easier than those tissue paper balls and they create a similar look. (I did those tissue paper balls one year and they took hours to complete.) 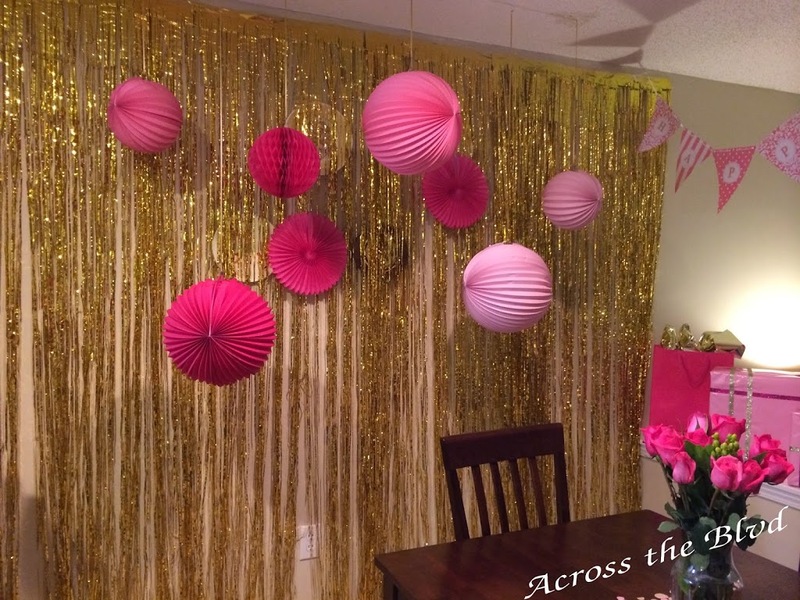 The gold wall was created by using party door curtains. I bought four of them to cover up some vintage plates on my wall that didn’t go with this decor. I found these cute paper straws on Amazon as well. I think we only used a few of them but don’t they look cute? 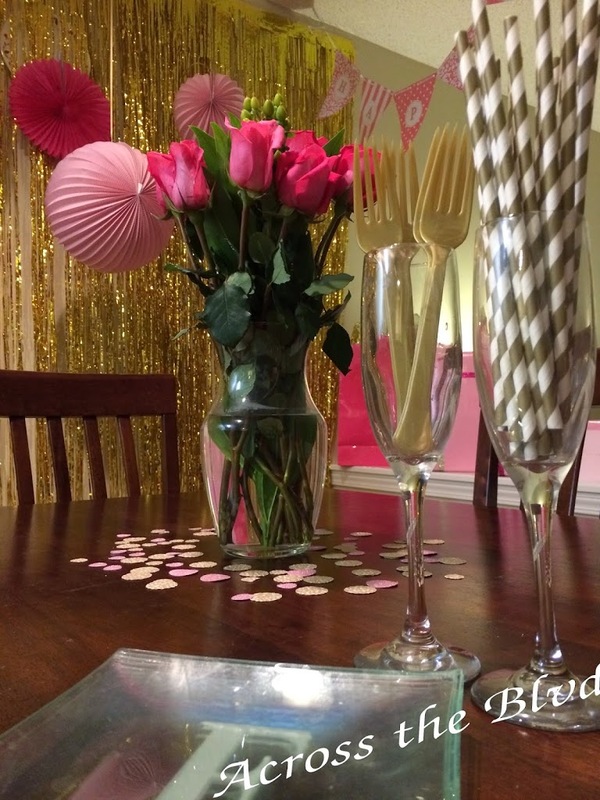 I displayed the straws as well as some gold forks in champagne flutes. I also used the straws to create this cake topper. · Two straws or dowels. · Punch out however many circles you need for your message. Mine said “Happy Birthday” so I cut out 13. · Thread the needle and punch on the side of your circle. Then punch across the circle creating a vertical line with the ribbon. Thread the ribbon far enough down for all the circles to fit. Repeat until all circles are on the ribbon. Give yourself plenty of ribbon at the end to tie it to your straw or dowel. 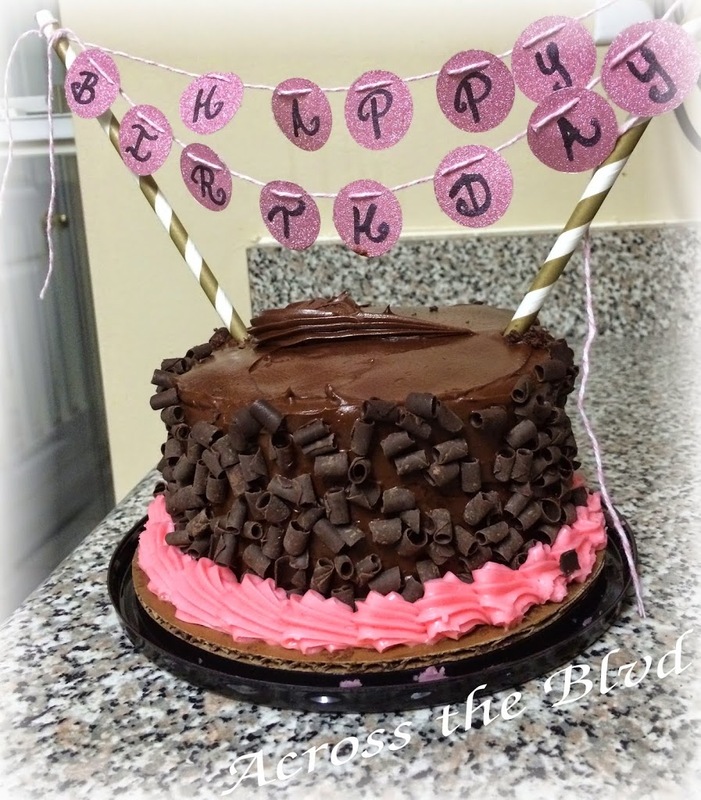 · Then you can place them however you want on your cake. I had a small cake so it’s a little scrunched up but I would look great on a regular sheet cake or 8 inch round. · Write your message after you have threaded all your circles. Otherwise the letters will end up sideways and not straight. Once they are on the thread you can line them up straight and write on them. I ended up having to do the “Happy” part twice because of this. · Tie the ribbon really really tight on your straws. They will fall down if it’s not tied tight. I loved being able to surprise Mom with this small party and it was the perfect way to end our weekend family vacation! I’m passionate about equality, I’m a blogger and an occasional artist. I work in program and development for a nonprofit.